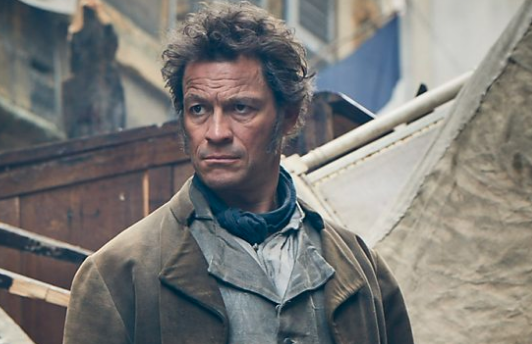 Ahead of its national premiere at Series Mania 2019, BBC Studios has struck a raft of international deals for Les Misérables. Victor Hugo’s 19th Century classic, adapted by Andrew Davies (War & Peace), has sold to 14 territories including Portugal (RTP2), Norway (NRK), Sweden (SVT), Finland (YLE), Iceland (RUV), Denmark (TV2), New Zealand (TVNZ), India (Zee Café), Spain (Telefonica), Taiwan (Catchplay), Estonia (ETV), Russia (Channel One and Kultura), Greece (Cosmote) and Latvia (LTV). The series will have its French premiere in Lille on 23 March from 3pm at the UGC cinema as part of Series Mania’s International Panorama screenings.. The epic drama is produced by Lookout Point and BBC Studios for BBC One and Masterpiece. The title’s producer Chris Carey will be in attendance alongside Lookout Point’s MD, Damian Keogh. Les Misérables will also be available to audiences travelling with Emirates, Qatar Airways, Virgin Atlantic Airways, Lufthansa, Swiss, Austrian Airlines, Cathay Pacific, British Airways, Singapore Airlines and Qantas Airways. Stars of the title include Dominic West (The Wire), David Oyelowo (Selma), Lily Collins, Olivia Colman (The Favourite), Adeel Akhtar (The Night Manager), Josh O’Connor (The Crown) and Ellie Bamber (Pride and Prejudice and Zombies). Keogh added: “We have always believed that Victor Hugo’s story is enduring and timeless. The alchemy of Andrew Davies’ scripts combined with Tom Shankland’s direction and the extraordinary cast performances have created an adaptation that feels genuinely accessible and relevant.